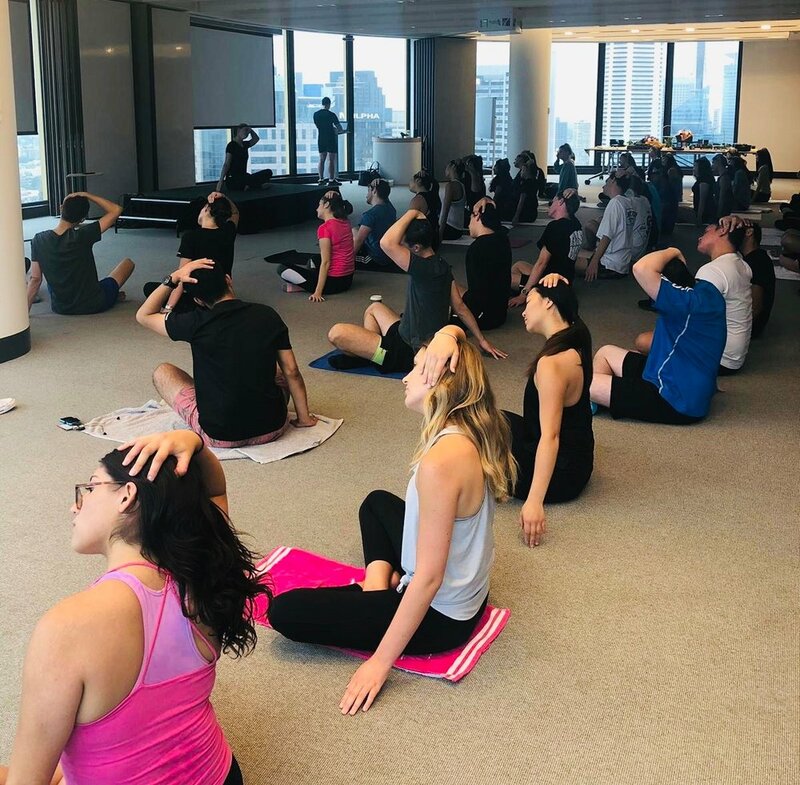 Little photos of yoga and meditation at offices around Sydney. Camille practicing rooftop yoga at Novotel Sydney Central, February 2019. Dogs and office yoga on a Friday. February 2019. 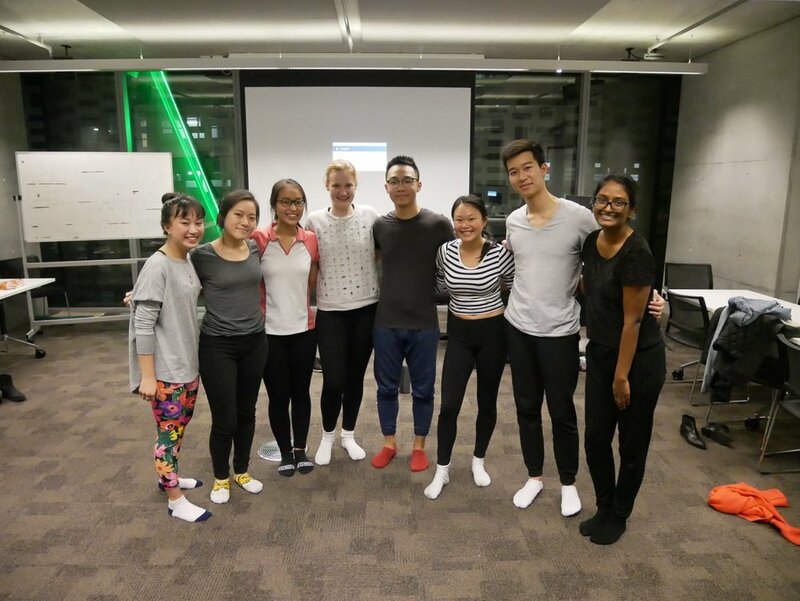 Teaching yoga to vacationers at EY, Sydney. January 2019. Checked my microphone while everyone was in child’s pose. Class done, standing beside the EY tree. Stretches to prevent tech neck. At the end of the yoga class, I asked students to write what they liked and didn’t like so I can improve. We cleared away the classroom and did some yoga for stress relief. UTS June 2018 Enactus. 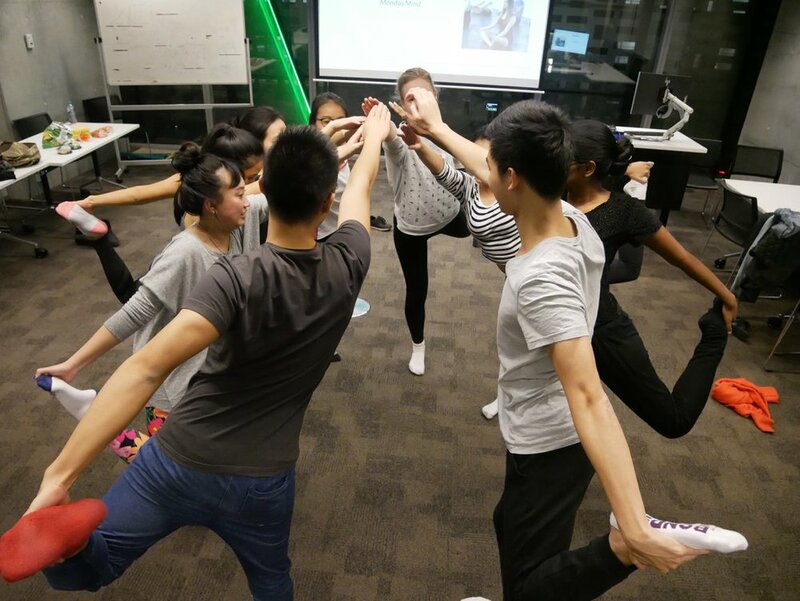 Tree pose with business students at UTS. 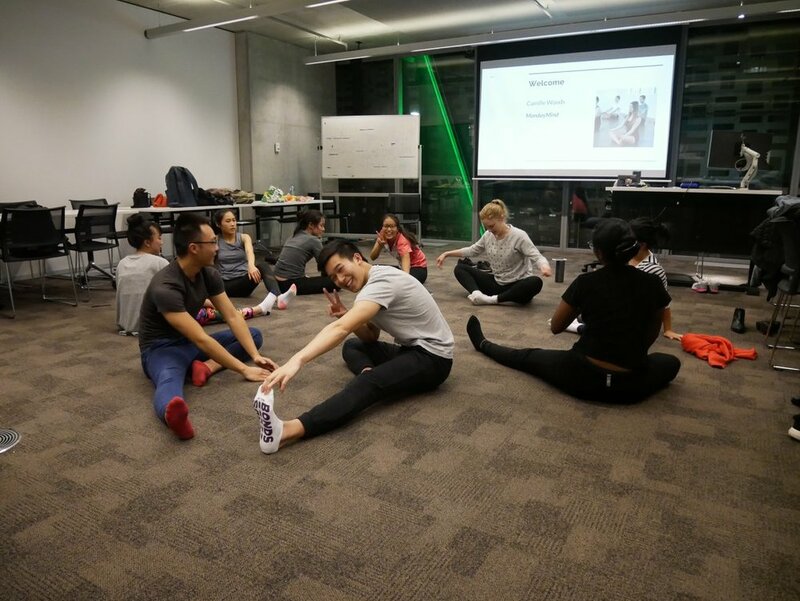 Thanks Enactus UTS for yoga photography. Cobra pose, prayer pose and moon crescent pose. Dancer pose. Yoga is so easy to organise. Not having yoga mats is not a problem. I just brought my portable stereo, we moved a few tables and had a great time. Limbering up, preparing for our yoga class. Child pose to finish the class. Evening yoga class for a start up company at Observatory Hill. Beautiful view of the Harbour Bridge while we practiced yoga (unfortunately the flash wasn’t strong enough! ).